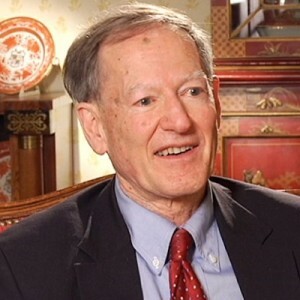 George Gilder, Editor in Chief of Gilder Technology Report, is Chairman of Gilder Publishing LLC, located in Great Barrington, Massachusetts. A co-founder of Discovery Institute, Mr. Gilder is a Senior Fellow of the Center on Wealth, Poverty, and Morality, and also directs Discovery's program on high technology and public policy. In 1986 Gilder was made a Fellow of the International Engineering Consortium. The investigation into wealth creation led Mr. Gilder into deeper examination of the lives of present-day entrepreneurs, culminating in many articles and a book, The Spirit of Enterprise (1986). The book was revised and republished in 1992. That many of the most interesting current entrepreneurs were to be found in high technology fields also led Mr. Gilder, over several years, to examine this subject in depth. In his best-selling work, Microcosm (1989), he explored the quantum roots of the new electronic technologies. A subsequent book, Life After Television, was a prophecy of the future of computers and telecommunications and a prelude to his book on the future of telecommunications, Telecosm (2000). The Silicon Eye (2005) travels the rocky road of the entrepreneur on the promising path of disruption, and celebrates some of smartest and most colorful technology minds of our time. His groundbreaking book, The Israel Test (2009), relates his work on capitalism to the safety and prosperity of Israel, what Gilder calls "the central issue in international politics" in our time. What critics have hailed as a "unique contribution" to the debate, Gilder argues that hostility toward Israel arises primarily from hostility toward capitalist creativity. How we react to that creativity -- by resenting it or admiring and emulating it -- will impact the future of Israel, the United States, and the world. His latest book, Knowledge and Power (2013), presents a new theory of economics, based on the breakthroughs from information theory that enabled the computer revolution and the rise of the Internet. In a review, Steve Forbes stated that the book “will profoundly and positively reshape economics… (and) will rank as one of the most influential works of our era.” The book won the Leonard E. Read prize at FreedomFest in Las Vegas in 2013.